Published in Rafu Shimpo, May 20, 1955. 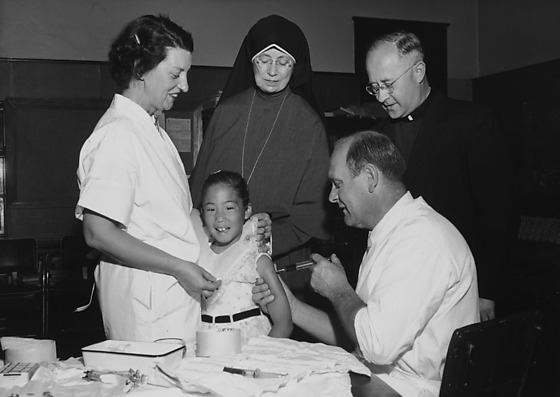 Dr. Nino Ferrero of the Health Department gives first and second graders Polio vaccinations with the assistance of nurse Frances Fauria, while a Nun and Father Clement observe at Maryknoll School in Los Angeles, California, May 19 1955. Typed on original envelope: Polio Vaccination -- Maryknoll.